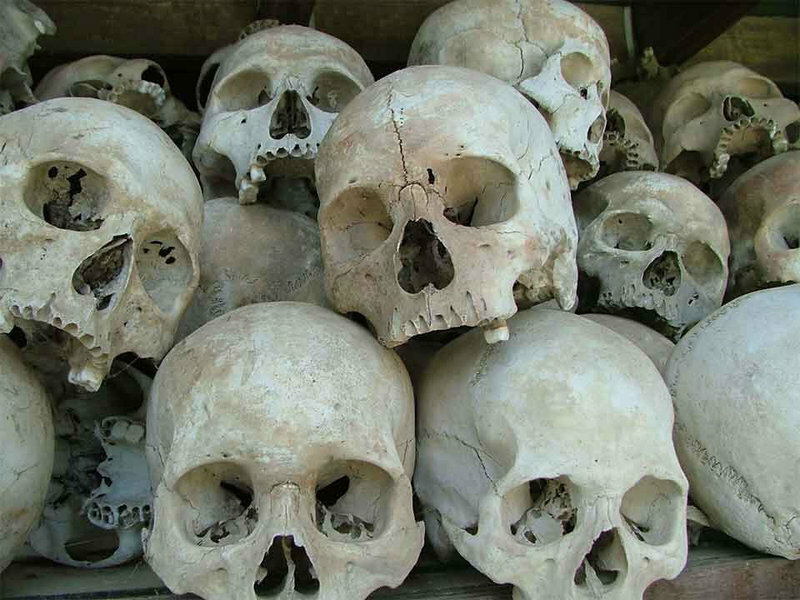 Burundian Police have discovered over 40 human skulls during a search on the home of an Italian expatriate in the country’s capital Bujumbura. The suspect Giuseppe Favaro (alias Kassim Abdougani) was arrested last month after attempting to smuggle two human skulls to Thailand. The skulls are reported to have been uncovered during an x-ray of his luggage at the International Airport of Bujumbura. “We discovered a package at Bujumbura airport containing two skulls, and investigations established it was sent under a false name by Giuseppe Favaro, an Italian,” Police spokesperson Helmenegilde Harimenshi said. The Telegraph reports that the suspects hails from Veneto, Italy and has been living in Burundi for over 10 years where he has sold tribal art, jewelry and paintings, and also exported raw materials. Burundian Post Office Director Salvador Nizigiyamana said the suspect is well known among Post Office workers because he has been sending art objects by post since 1999. The director admitted that the agent in charge on the day Favaro ordered for the transfer of his package may not have thoroughly checked the suspect’s luggage before approving it for transfer. Harimenshi, the Police spokesman, disclosed that Favaro bought the skulls for $50 and sold them for $300 each. Although authorities have confirmed that the skulls are human, their origin remains a mystery. There are speculations that the skulls may belong to albinos. Trade in albinos parts has been on the rise in Kenya, Burundi, Tanzania and Uganda in the past few years as they are believed to posses magical powers. Investigations are still ongoing and Burundian authorities have asked Interpol to assist them arrest accomplices of the suspect in Thailand.